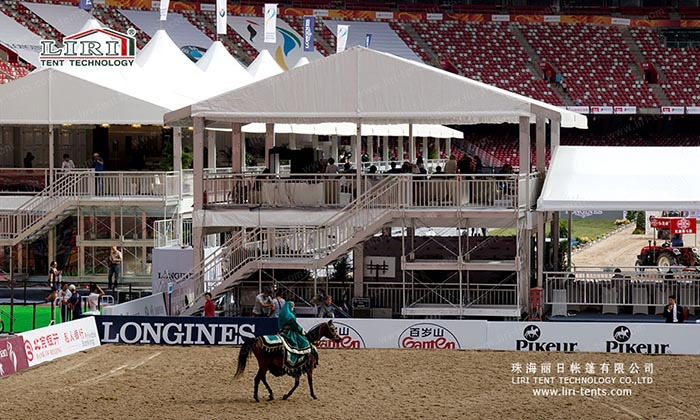 The two story tent structure is the best sporting events tents for Equestrian, Golf Tournament, Tennis Open, etc. Sports event tent structure is a great solution when building concrete structure is not an option. It can not only save space for event, but also create a kind of VIP feeling for visitors. Two story sporting events tents is one the new clear span tents that Liri launched in 2012. To some extent, Liri had lead the sports tent market in China into a new age. These tents for sporting events have more durable design and better ability resist strong wind and snow. 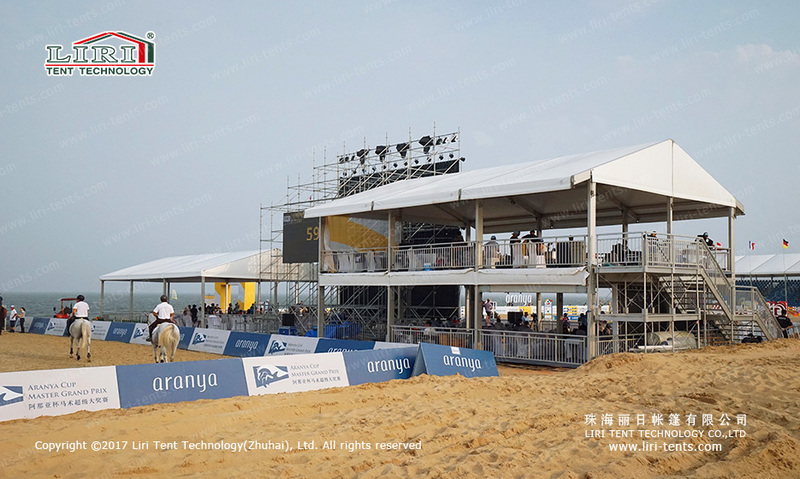 Moreover, this sports event structure represent the excellence of the design of clear span structure. If you want to know more about these sports event tents and get a free quote, just SEND your detailed product inquiry. We will get back to you as soon as possible.